Here are a list of apps I’m exploring in my workshop for Apple on Leveraging Learning with the iPod Touch. Neat little app created by a 9 year old Singaporean boy. We’ve used it for fine motor skills, creativity etc. You can take screen shots of your creations and email them later. Neat little app where you plant, water and grow flowers and send bouquets via email. Fantastically versatile app for narrating over your own images. Either upload images to your photo gallery, or take screenshots to use. This app creates a video of your slideshow which you can email, send to your computer or upload to YouTube. Excellent little app for ordering decimals, percentages and fractions. Would suit middle to upper primary. App which allows you to select from coin toss, yes/no, dice roll, card choice, rock/paper/scissors and many other options. Great for probability and statistics. Choose from addition, subtraction, multiplication & division (or a combination of these) and then complete the questions. Multi-choice answers are provided below. Neat app which acts as a pedometer. Simple to use, really effective. You can upload your results to MapMyWalk. I think this is a great little app for the early years. You learn to form letters, hear the sounds of each letter, then blend sounds to make words at the end. The Lite version has the first sounds only, but the full version has sound blends as well. Give it a go! See here for more details on how we used with with K2. Another app for beginning readers. It covers the basic sight words, phonics, etc and is easy to use. You can turn the voice on or off. Chinese-English dictionary. See here for more details on how we use it at school. This app has missing letters which the kids need to select from a list to complete the word. There are a range of settings you can customize, including lowercase or uppercase letters, the missing letters at the beginning, middle or end of the word, and the length of the word (to name but a few). I will also be looking at the Voice Memo app, which comes preloaded on all iPod Touch and iPhones. Great list of historical artists, their lives, their art, and so much more. If $0.99 seems a little much, why not try the lite version, which is free. High quality images of the Muscular system, perfect for kids to take screencaptures to use in presentations. High quality images of the Skeletal system, which students can screencapture, making this app money well spent for inquiries relating to the human body. Excellent iPod Touch version of the desktop programme created by Google. Absolutely awesome. DropBox is a wonderful service which allows you to store files in the ‘cloud’ and sync them across multiple computers and devices automatically. For the paid service, you get up to 100GB of storage- it’s pretty amazing really! Storing copies of my family’s passport details, so when trying to book flights from different computers, all the information is handy. Sharing photos from events & conferences. Working on common files for workshops. Safeguarding important documents I cannot afford to lose. So if you haven’t signed up for a DropBox account, you should do so – today! 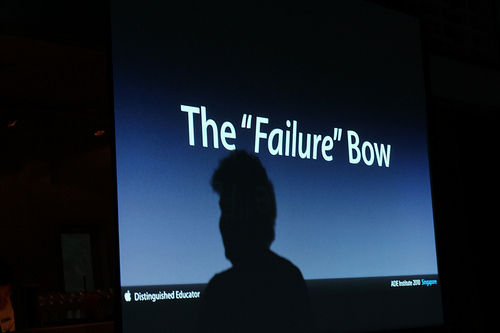 During the Asia ADE Institute 2010, Improv expert Rebecca Stockley introduced the “Failure Bow” as a way of recognising failures as learning opportunities. Basically, if you stuffed up, you held your hands up and everyone applauded your failures (rather than only celebrating your successes). Overall, I think it would be safe to describe my Grade 5 animation project as a bit of a disaster. And that’s if you’re being kind. The ingredients for success were all there: enthusiastic students, willing and supportive colleagues, the necessary equipment – but several contributing factors meant that the end result just didn’t cut the mustard. Instead of detailing the list of things that went wrong (there is only so much time in the day after all…! ), I thought I’d share the lessons I learned through my failures. Lesson 1. Large photo files + network + 22 students all on the computers = frustration. I wanted to use good quality images to get the best quality for the finished product, however with the scale we were working with (in excess of 300 photos each group), Movie Maker crashed more times that I’ve had hot dinners. To solve this problem, next year I would reduce the file size to Large or even Medium, to speed the process up, and reduce the chance of crashing. Lesson 2. Storing video/image files on local machines is much better than accessing files via the school network. I know this seems obvious, but when you have kids using different computers all the time (and occasionally different computers being out of action for some reason), then the network seems like the safest bet. For videos of this magnitude, storing files locally makes the whole thing run much more smoothly. Lesson 3. Having 22 kids at a time making movies is great in theory, but, practically speaking, 1 per group would have been more manageable for the network. I thought that groups could work together to create and shoot their images, then take the images and edit their a movie individually. One movie per group would be fine, however clear guidelines for each group member would need to be established, so that everyone is responsible for different sections. Lesson 4. Know your software. Despite making short test versions of animations (as outlined here), Movie Maker wasn’t up for the task on a larger scale. Our other software, Adobe Premiere Elements is a great tool, but the smallest picture duration we could customize it to was 1 frame per second (not nearly fast enough for a decent animation). While trying to fiddle around with the picture duration settings, I discovered Adobe Premiere Elements had a stop-motion animation function (if used with a webcam connected to the computer) which we could have used from the beginning. The quality of the finished movie wouldn’t be as great, however if it meant more kids would be successful in creating an animation, then it’s probably worth trying. If you’re anything like me, you will recall the hype surrounding Google Wave, and you will remember with excitement, the day your invite finally arrived. I felt a bit like the cat that got the cream when I got mine, however my Wave potential was limited by the number of geeks people I could interact with (I had no invites for ages!). I felt it would be a wonderful tool for use in the classroom, but my initial lack of invites put the kibosh on that! Fast forward 6 months and my Google Wave account was gathering virtual dust in cyberspace. As good fortune would have it, my husband and I met up with an old friend in Bali – Werner Paetzold – from Bali International School on our holidays in April. Werner was singing the praises of Google Wave, and said he used it quite successfully with his Middle School students. There was a challenge, if ever I heard one! He told me about the newest extensions, and also extolled the virtues of Google Wave as a conference note-taking platform. At the recent IBO conference, wireless was at something of a premium, but Werner insisted that if he opened the Wave when he had wireless, and left it open, he could happily take notes throughout the conference, and when he returned to wireless connectivity, it would sync all his notes for him. The upcoming Grade 5 PYP Exhibition sounded like the perfect opportunity to have a look at what Wave could do. I am mentor to two groups for the Exhibition (a unit that is a really student-driven inquiry, with mentor support), so I invited one member of each group, and they subsequently used their invitations to invite the rest of their group members. I asked them to start a Wave as a way of collaboratively collecting resources and research for their Exhibition. I love the grade 5 kids, they really are a fantastic bunch, so it was no surprise that they took to Google Wave like ducks to water. 1. Collaboration – Google Wave allows for very easy collaboration. It is very similar to both email and instant messaging, which are mediums that are extremely familiar to the kids I work with. Adding contacts to a Wave is… well… child’s play! I asked the students to invite me to their Wave, meaning I get all the updates as they work. It is a great way of having all the students’ research in one place – a place which is easily accessible at home and at school. 2. Playback – not sure who has contributed to the Wave lately? Or keen to see how the interaction is playing out with your students? Hit Playback, and you’ll see a sped up replay of the editing to date. This is useful as a way of tracking involvement, but also a good way to catch up if you have been invited to a Wave fairly late in the piece. 3. Real-time Editing – my students think this part of Wave is uber cool – and it IS! There is something mind-blowing about the ability to see exactly what someone else is typing the moment they press the keypad. No more waiting until a person has finished his/her sentence – you can answer a question as it is being formed. 4. Just-in-Time support – on several occasions, I have been online at home when the kids have been working on their research. One time, I was able to give some immediate feedback and suggestions on a student’s just-completed Prezi, another time I explained how to embed a website into the Wave using one of the Extensions. It has been a fabulous tool for this sort of interaction. iFRAME – this Extension allows you to embed a website into your Wave so others can read/preview it from within the Wave, and not have to leave the window. 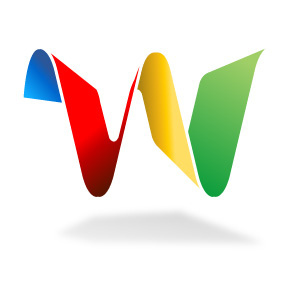 How have you used Google Wave in the classroom? Any bright ideas to share? Any must-have Extensions? I am keen to hear your feedback! I hadn’t realised I had overlooked this section of the Terms of Service (TOS) – and took steps to rectify it immediately. I had originally invited the kids using their school-controlled Gmail account via Google Apps, but when the students discovered those addresses weren’t accepted by Google Wave (at that time), they used their own accounts (which they already had outside of school). As Google Wave is now available via Google Apps for Education, I informed the students of the issue, and had them create a replacement Wave account using their school-controlled Gmail account. 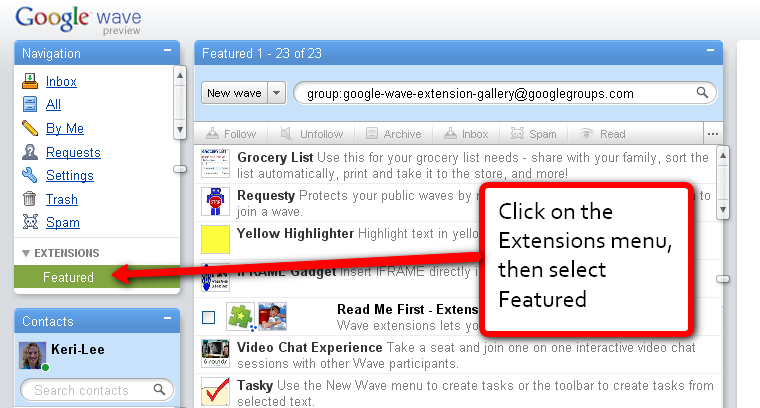 They still have access to the wonderfully collaborative features of Wave, but without the extensions (at this point). The only loss to us is the <iframe> extension, which allows websites to be embedded in a wave. A very nice feature indeed. My intention is, and has always been, to connect students to technology that enhances their learning. Although I sincerely regret not checking the terms of service more thoroughly, this has turned into a valuable learning opportunity for us all. I regularly discuss the importance of Internet awareness with my students, and this has given us another opportunity to bring these issues to the fore, and ensure students can learn from this, as I have. The key issue is the US laws relating to COPPA/CIPA and one aspect of that is the legal age at which people can engage in a contract. This is the same thing that has plagued Ning use in elementary schools. There seems to be agreement that the legal age is 14 in the States — though in California where Google is incorporated, the legal age is 18. Here in Singapore it is 21. 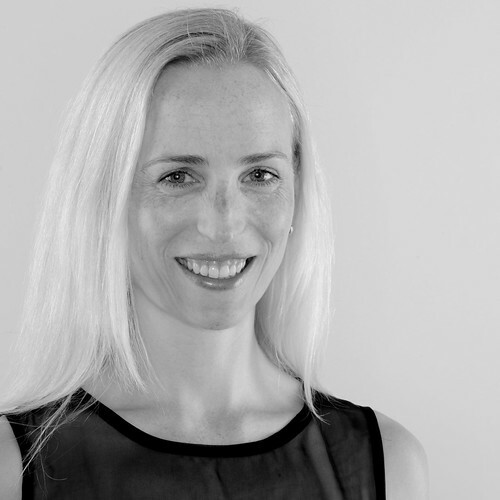 I would be interested to hear from someone with legal knowledge and an international school perspective. I remain convinced that Google Wave is an outstanding platform for student use, and hope you see the benefits too.